My Father, Oliver Morgan, Jr.
Oliver Morgan, Jr. was born September 5th, 1949. He was a father of two daughters, my older sister, Rochelle Morgan-Magee, and me, Zelma Morgan. He always treated us like his princesses, and everybody knew it. We lived in the San Fernando Valley, California, and he worked at General Motors in Van Nuys. My father and mother divorced when we were about eight and seven years old. The last time we saw him was about a year later, when he took us to Magic Mountain. He bought me a stuffed animal that day, the last present he gave me. That must have been his goodbye to us without telling us. The stuffed animal is long gone, of course, and every so often, I wonder what happened to it. When we were 15 and 14 years old, my sister and I found out by accident from a family member and friend that our father was no longer alive. As you can imagine, finding out something like this as teenagers was devastating. We asked our mother and grandmother that dreaded question about what had happened to him. They didn’t tell us. In fact, the only thing that happened was that the two kids who told us got in a lot of trouble for telling us. I took it upon myself to talk to them and their mothers to reassure them that we were so grateful to have been told, because otherwise we would have never known. I didn’t understand why my mother wanted to keep our father’s death a secret from her daughters, or how her anger over the revelation cost a relationship with a family member and a close friend. At least we knew, though. We knew that my father wanted to be sure we were taken care of, and that – when his friends thought we were old enough – that we found out what had happened to him. 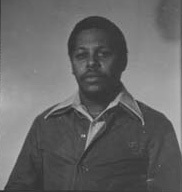 Oliver Morgan, Jr. died in Jonestown on November 18, 1978. Thirty-three years later, we are still trying to gather information. Until this summer, we were under the impression that my father went to Guyana to get his girlfriend out. We now know that he had been a member of Peoples Temple for a while, and that he went to Jonestown in March 1978, eight months before his death. We were also told that he was one of the people who were shot. That turned out not to be true, either. This situation must have been intense. Knowing who my father was at a young age and hearing from family and his friends… Sadly he must been forced as many others were. Hearing different stories – and not hearing anything at all for years – is so frustrating. We have been trying to gather information, and have learned much of what we know from this site. If you knew my father, and have any stories to pass along about him, my sister would love to hear them. Please contact me at msdiversified@sbcglobal.net. Last modified on July 27th, 2014.